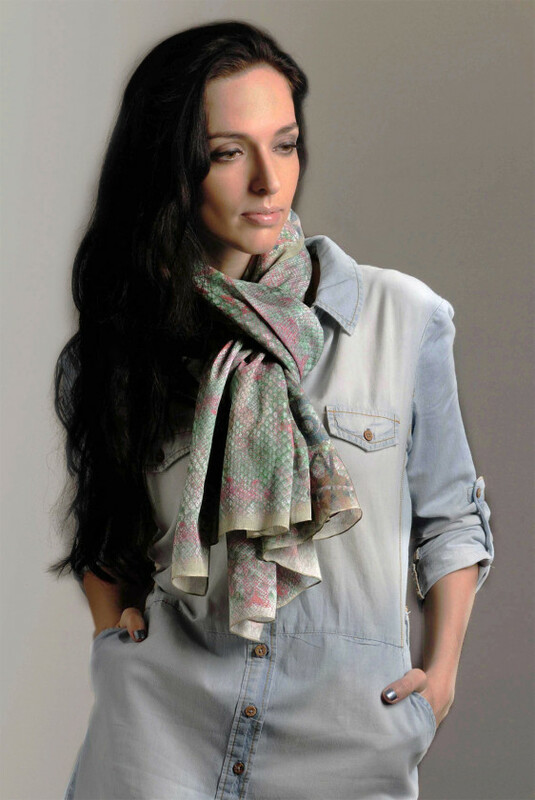 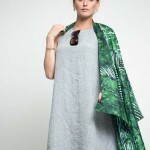 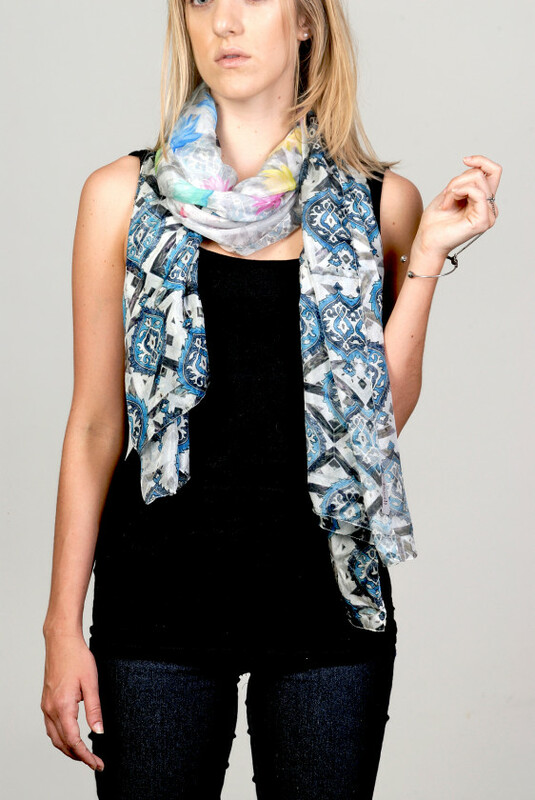 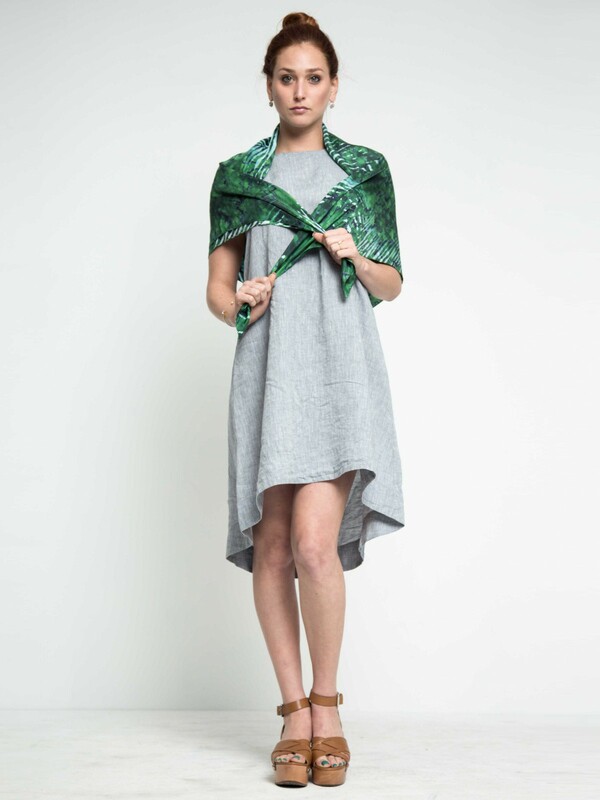 This digitally printed scarf has a unique contemporary blend of shibori art and tropical patterns. 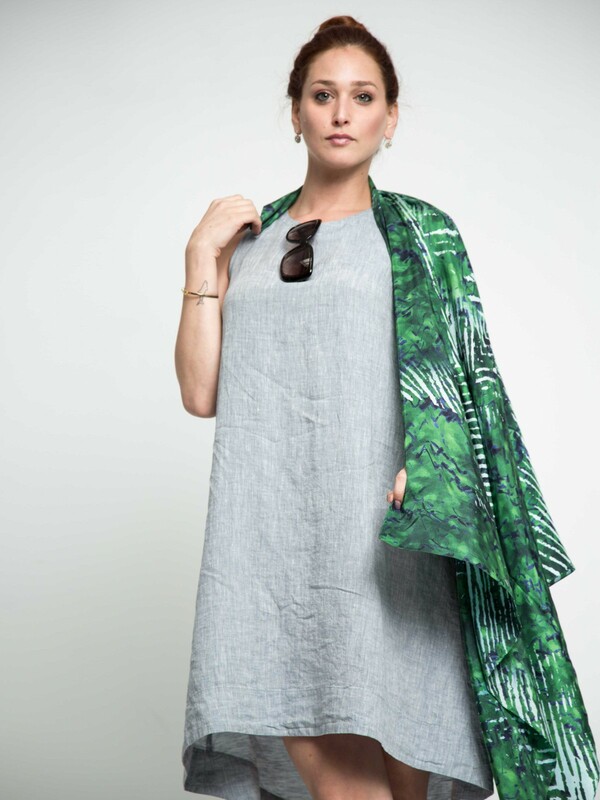 The greens and the blues gives it an exotic flair. 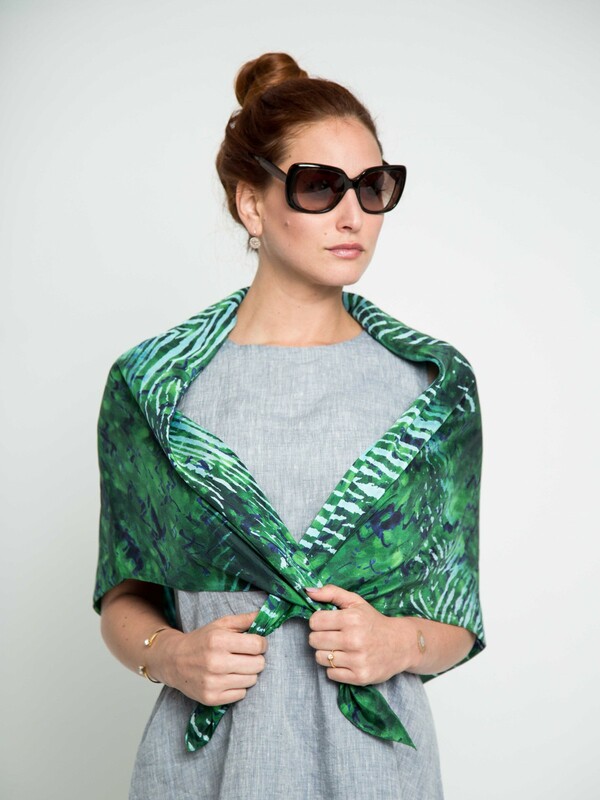 Wear it as a top, sarong, or simply tie it around your Hat!! 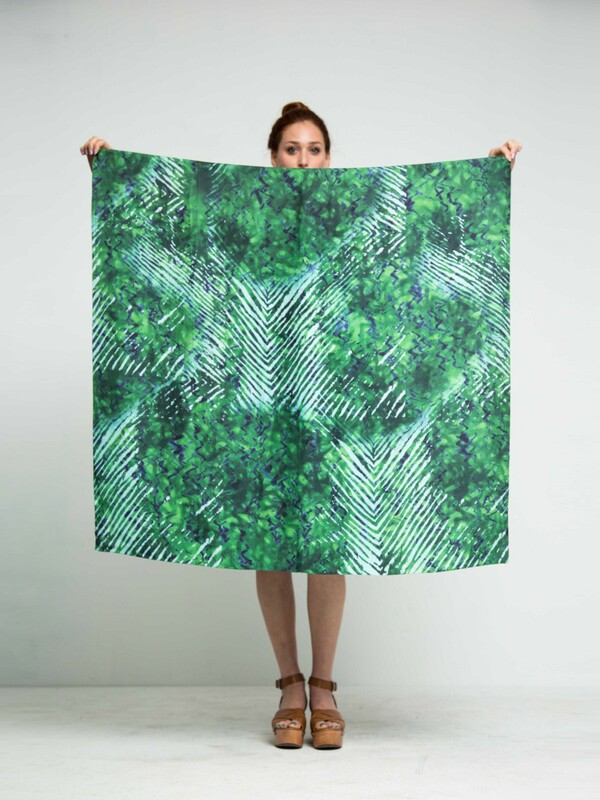 Be the first to review “Emerald Green Shibori Tropical Silk Scarf ” Click here to cancel reply.